Does your mlm leads capture page need a video? Home/MLM Lead News/Does your mlm leads capture page need a video? Does your mlm lead capture page need a video? If you feel that it does, ask yourself this: what’s the purpose of the video? Is the video intent to..
A) tell prospects about your company products, services or opportunity so that prospects want to lear more? B) pick prospect’s curiosity or interest enough that they want to learn more? So, first things first. 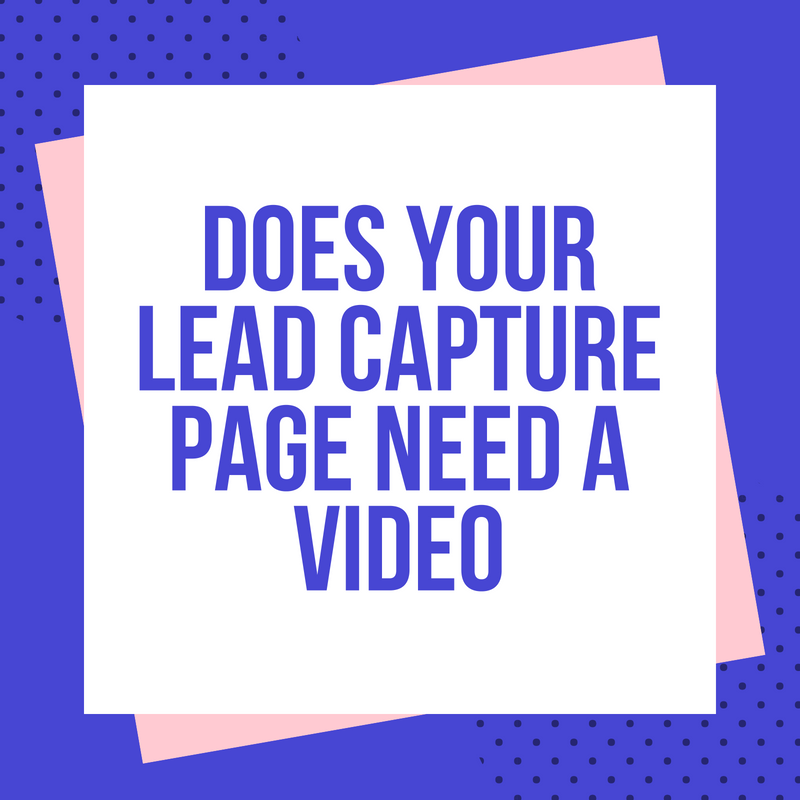 Let’s answer the question: Does your mlm lead capture page need a video? I believe that if you have a strong headline and sub-headline at your lead capture page, then a video is not necessary. In fact, a video may actually hurt your lead capture page optin rate because people may not have time, nor want to view the video to learn more. Nothing matters more at your mlm lead capture page than your page headlines. They are what drives optins. The better the headlines, the better the optin rate and the more leads you’ll generate. Let’s face it; it’s easier to write good headlines than it is to create a good teaser video. And headlines take a lot less time to produce. So onto the next question: What’s the purpose of the video? The purpose of a lead capture page video should be to pick the prospects curiosity or interest enough that they have to fill out the lead capture page to learn more. The biggest mistake I see entrepreneurs make is posting their business presentation video at the lead capture page. When they do this, the prospects are making a decision NOT to opt-in at the page. They have all the information they need to know whether they are interested. So there is no need to optin. It is better to not have a video on the page. That way prospects have to optin to learn more. That creates a lead that you can then follow-up with later. Once you feel you have a good lead capture page, it’s time to test it with MyAutoPilot Traffic. Point enough traffic at the page so that you can get statistical results to know how well the page converts. Then create a second version of the page. Test the 2nd page against the first page. See which page performs the best. Repeat this process to really refine your lead capture page conversion. Getting your mlm lead capture page dialed-in can take a bit of time. However it is the sort of thing that all top producers do to build their business.